She is known for saving the Gautama Buddha from the evil Mara and his army by wringing water from her hair and washing them away, thus enabling the Buddha’s enlightenment. She is found all over Southeast Asia, in temples, gardens, in front of businesses, and in the logos of important political parties and military organisations. 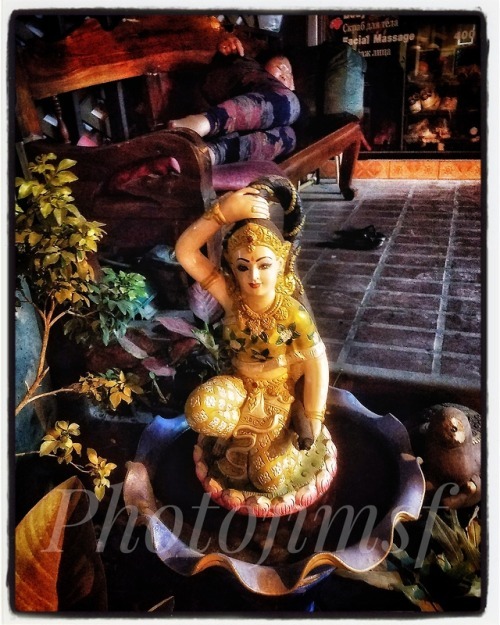 This particular Wathondara, aka Phra Mae Thorani (Thailand), sits outside a massage parlor in Jomtien Beach, just a stone’s throw from Pattaya. This image is now available in limited editioned gyclee prints from Photojimsf! Size is 8×10, cost is $50 plus shipping. Paypal only for now. Contact me, Jim James, jim@photojimsf.com, direct message via Tumblr, or leave a comment in the notes, and I will contact you. Sawat Dee Krup, Korb Khun Krap (hello, goodby, thank you, and 10,000 blessings in Thai language). 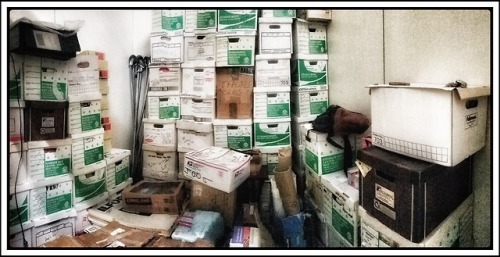 My analog photo collection, in storage. Two and a half decades of San Franciscana starting in the late 70s, in black and white, color, and color slides. It will take hundreds of hours to sort and organize. One or two hours at a time at my leisure of course.